John Shewfelt's practice encompasses an impressive range of commercial, regulatory, and civil litigation. He has conducted hearings and trials involving securities law, shareholder disputes, surgical negligence, defamation, aircraft nuisance, childhood sexual abuse, fraudulently concealed assets, real estate claims, class proceedings, and a variety of corporate and commercial disputes. John also has experience with serious personal injury claims and with professional malpractice claims involving lawyers, doctors, investment advisors, and other professionals. John has spent hundreds of days in trial and on appeals in all of the British Columbia courts, the Yukon Supreme Court, the Federal Court of Appeal, and the Supreme Court of Canada. He has represented clients before a number of regulatory tribunals, including the Law Society of British Columbia and the British Columbia Securities Commission. He is also experienced with alternative dispute resolution, including commercial arbitration and formal mediation. John’s broad range of experience and unique skill set are valuable resources for clients seeking reliable legal counsel and practical solutions to their business problems. 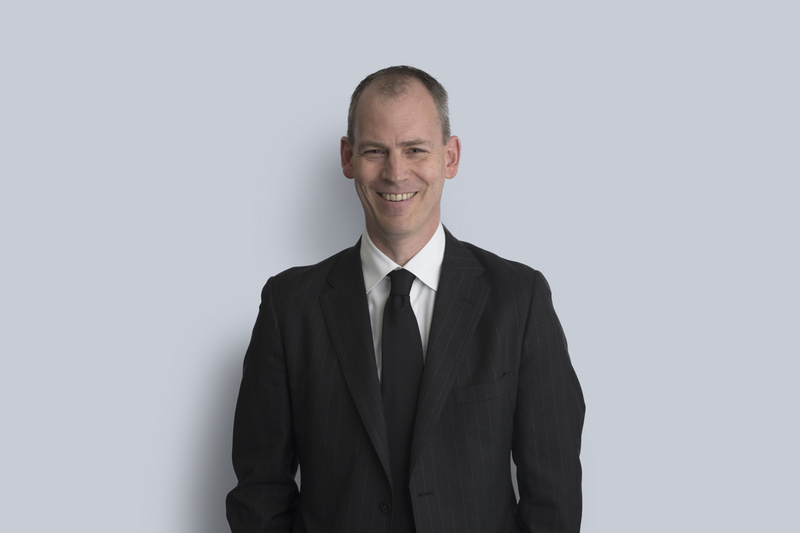 Commercial litigation: The resolution of commercial disputes is the mainstay of John’s practice, comprising approximately three-quarters of his litigation portfolio. He represents both plaintiffs and defendants in roughly equal proportions, allowing him to maintain a balanced strategic perspective on how best to advance the interests of his clients regardless of the circumstances or the industry involved. Securities litigation: John holds a graduate law degree in securities law. He has represented clients in many securities-related matters in the context of civil litigation before the courts and in regulatory proceedings such as Securities Commission prosecutions. Personal injury: John began his legal career in a personal injury law firm and he has continued over the years to assist clients who have been injured through the negligence of doctors, dentists, motor vehicle operators, and others. John has periodically taught for many years as an Adjunct Professor at the University of British Columbia Faculty of Law. Carswell v. Engle Estate, 2018 BCCA 164 (link) – The appellant sought to file a claim against the estate of her former husband and to contest the validity of his will. Chambers decision dismissing the application upheld. Guthrie v. Abakhan & Associates Inc., 2017 BCCA 102,  9 W.W.R. 99, 411 D.L.R. (4th) 639, 96 B.C.L.R. (5th) 286 (C.A.) (link) – The Court addressed the legal effect of a declaration that a conveyance is “void” under the Fraudulent Conveyance Act. Once a conveyance is declared fraudulent, it remains fraudulent and is ineffective as against all creditors who are hindered or delayed by the conveyance, even if at a later date. Judgment below, 2016 BCSC 2030 (link), reversed. Monster Energy Company v. Craig, 2016 BCCA 290, 389 B.C.A.C. 312, 402 D.L.R. (4th) 286, 88 B.C.L.R. (5th) 379 (C.A.) (link) – Reversal of a decision that had restricted questioning on a deposition granted under a letter of request (i.e., letters rogatory) issued by a California court. Supplementary reasons as to costs: 2016 BCCA 484 (link). Daum v. Clapci, 2016 BCCA 176, 16 E.T.R. (4th) 171, 386 B.C.A.C. 101, 84 B.C.L.R. (5th) 206 (C.A.) (link) – A trustee of shares who wrongfully refuses to return the shares to the beneficiary is not liable for a loss of share value if the loss was due to the company’s assets being reduced by a wrong to the company. The rule in Foss v. Harbottle applies. Staburn Westbank Holdings Ltd. v. Home Depot of Canada Inc., 2015 BCCA 510, 381 B.C.A.C. 55 (C.A.) (link) – Dispute concerning the meaning and effect of a clause in a commercial tenancy sublease. Chambers decision, 2015 BCSC 418 (link), upheld. Drover v. BCE Inc, 2015 BCCA 132, 369 B.C.A.C. 231 (C.A.) (link) – Appeal statutorily dismissed as abandoned. Application to reinstate the appeal dismissed. Sutherland v. Reeves, 2014 BCCA 222, 357 B.C.A.C. 46, 61 B.C.L.R. (5th) 308 (C.A.) (link) – The parties were closely connected to a partnership that was placed in receivership by an order of the Supreme Court. That order provided that no proceeding against or in respect of the partnership or its property may be commenced without leave of the Court. The appellants brought an action against the respondent in his personal capacity for an alleged fraud that arose from their connection to the partnership. The chambers judge held that the action was in respect of the partnership or its property and struck it out. The Court of Appeal held that the receivership order was made in circumstances that support a broad interpretation and upheld the chambers judge’s decision. AMX Homecare Inc. v. TSX Venture Exchange Inc., 2014 BCCA 204, 356 B.C.A.C. 164 (C.A.) (link) – The appellant’s application for indigent status was dismissed and the respondents’ application for security for costs was allowed. The appeal was eventually dismissed for failure to comply. Tassone v. Cardinal, 2014 BCCA 149, 354 B.C.A.C. 111 (C.A.) (link) – Plaintiff’s right to vacant possession of real property upheld. Roberts v. E. Sands & Associates Inc., 2014 BCCA 122, 10 C.B.R. (6th) 263, 353 B.C.A.C. 217, 60 B.C.L.R. (5th) 259 (C.A.) (link) – One investor in a Ponzi scheme obtained judgment under the statutory cause of action in the Securities Act for misrepresentations in an offering memorandum. He sought to expunge the other 650 investor’s claims in bankruptcy on the ground that no other investor commenced an action within the 6-month limitation period. The Court of Appeal agreed and declared that the other investors had no claim under the Securities Act. The decision of the chambers judge (link) was set aside. Neville v. National Foundation for Christian Leadership, 2014 BCCA 38, (2014) 350 B.C.A.C. 7 (C.A.) (link) – The Court held that the trial judge did not err in finding that a donation intended to confer a benefit on a blood relative was actually a gift. Waters v. Michie, 2013 BCCA 441,  W.D.F.L. 389, 347 B.C.A.C. 123 (C.A.) (link) – Appeal and cross-appeal from the trial judge’s costs awards dismissed. Zhu v. British Columbia (Securities Commission), 2013 BCCA 248, 338 B.C.A.C. 208, 363 D.L.R. (4th) 331 (C.A.) (link) – Appeal from a decision of the British Columbia Securities Commission refusing to set aside an order freezing the bank accounts of a company under investigation for securities fraud. Dhillon v. E. Sands & Associates Inc., 2010 BCCA 594, 72 C.B.R. (5th) 247, 63 E.T.R. (3d) 161 (C.A.) (link) – A bankrupt limited partnership pooled investors’ money and unwittingly gave it to a New Jersey-based Ponzi scheme. The Securities Commission became suspicious and issued a cease trade order against the limited partnership. The Appellant argued that the limited partnership had agreed to hold his investment funds in trust and not to invest them into partnership units until the cease trade order was lifted. The chambers judge rejected that position on the facts and the Court of Appeal upheld that decision. Michie v. Michie, 2010 BCCA 232, 286 B.C.A.C. 311, 5 B.C.L.R. (5th) 292, 327 D.L.R. (4th) 248, 85 R.F.L. (6th) 10 (C.A.) (link) – The Court affirmed the principle that in matrimonial proceedings, as in other court proceedings, public access is the norm. Recognizing the sensitivities of matrimonial proceedings, the Rules of Court provide some limitations on access. The Court dismissed the appeal from the chambers judge’s refusal to grant an injunction restraining the respondent from disseminating information filed in affidavit materials and sealing the Supreme Court registry file. Supplementary reasons on costs: 2010 BCCA 408, 292 B.C.A.C. 127, 9 B.C.L.R. (5th) 254, 85 R.F.L. (6th) 18 (C.A.) (link). Romans Estate v. Tassone, 2009 BCCA 421, 78 C.P.C. (6th) 15, 276 B.C.A.C. 239, 51 E.T.R. (3d) 1 (C.A.) (link) — Appeal of an order requiring the appellant to prove a will in solemn form before proceeding with the action against the respondents. The order was made in compliance with the rules and, in any event, was required to preserve the integrity of the action. Appeal dismissed. Laxton v. Coglon, 2008 BCCA 414, 58 R.F.L. (6th) 1, 261 B.C.A.C. 142, 85 B.C.L.R. (4th) 17 (C.A.) (link) – Appeal on the quantum of compensation ordered under the Family Relations Act for share options that were not disclosed by the husband. The trial judge erred by holding that restrictions on the exercise of the options were negative contingencies. Award to the wife increased. Sutherland v. Canada (Attorney General), 2008 BCCA 27, 50 C.P.C. (6th) 252, 250 B.C.A.C. 260, 77 B.C.L.R. (4th) 142 (C.A.) (link) – Property owners in Richmond below the flight path of a new airport runway sued for noise nuisance and succeeded at trial. The Court of Appeal reversed the judgment on the defence of statutory authority and dismissed the action. The trial judge then awarded costs to the property owners for the portion of the trial dealing with the existence of nuisance because the defendants should not have thought that they had much chance of success in defending against the allegation of nuisance. The Court of Appeal held that the judge erred by failing to take a relevant factor into consideration, namely that the defendants, the parties who ultimately succeeded, did not prolong the case unnecessarily through their contest of the nuisance issue. Laxton v. Coglon, 2006 BCCA 178, 27 C.P.C. (6th) 114, 27 R.F.L. (6th) 296 (C.A.) (link) – Appeal from order dismissing an application for the preservation of property. The appellant claimed that the fund at issue was property that had been fraudulently concealed by her ex-husband. The chambers judge found that there was insufficient evidence to make the order sought because a substantial body of evidence suggested that the fund was owned by third parties. The Court of Appeal found no error of principle by the chambers judge. E.B. v. Order of the Oblates of Mary Immaculate in the Province of British Columbia, 2005 SCC 60,  3 S.C.R. 45, 258 D.L.R. (4th) 385, 340 N.R. 202,  3 W.W.R. 1, 217 B.C.A.C. 1, 48 B.C.L.R. (4th) 37 (S.C.C.) (link) – The Supreme Court of Canada held that the sexual abuse of a child by an employee who was employed as a baker, boat driver and odd‑job man, at a residential school for First Nations children did not impose vicarious liability on the religious order that owned and operated the school. While the employment relationship provided the abuser with the opportunity to commit the sexual abuse, his assigned role in relation to the students fell short of what is required to attract vicarious liability. The Court held that a strong connection between his employment duties and the wrongful acts was not established. The decision of the Court of Appeal was upheld: 2003 BCCA 289,  7 W.W.R. 421, 227 D.L.R. (4th) 298, 14 B.C.L.R. (4th) 99, 182 B.C.A.C. 288, 16 C.C.L.T. (3d) 149 (link). Attorney General of Canada v. Polaris Inflatable Boats Ltd., 2004 FCA 144,  F.C.J. No. 607 (Fed. C.A.) (link) – The Federal Court of Appeal upheld a decision of the Canadian International Trade Tribunal which denied costs to the applicant despite its success in resisting a complaint. Sutherland v. Vancouver International Airport Authority, 2002 BCCA 416, 215 D.L.R. (4th) 1,  10 W.W.R. 1, 170 B.C.A.C. 233, 4 B.C.L.R. (4th) 205, 12 C.C.L.T. (3d) 107, 46 C.E.L.R. (N.S.) 163 (C.A.) (link) – The trial judge held that aircraft noise caused by a new airport runway that directed flights over the plaintiffs’ homes constituted a legal nuisance and awarded damages. The Court of Appeal overturned the trial decision on the ground that the nuisance was statutorily authorized by the Canadian Aviation Regulations. Supplementary reasons on costs: 2003 BCCA 14,  B.C.J. No. 26 (link). Leave to appeal to the Supreme Court of Canada was denied. Currie v. Piper,  B.C.J. No. 672, (1998) 51 B.C.L.R. (3d) 72 (C.A.) (link) – A judge has no jurisdiction to order that funds paid into court under an invalid post-judgment garnishing order be held in court pending the outcome of the action. Nickel v. Weyerhaeuser Company Limited, 2018 BCSC 109 (link) – Summary trial order dismissing the claim of a proposed representative plaintiff under the Class Proceedings Act prior to certification. The remaining plaintiffs’ claims were certified as a class proceeding. Supplementary reasons on costs: 2018 BCSC 570 (link). Trial length: 1 day. Sangha v. Sangha, 2017 BCSC 2289 (link) – The plaintiff’s ex-husband fraudulently concealed assets in prior matrimonial proceedings. The trial judge granted a compensation order for $1.263 million, plus special costs. Supplementary reasons on court order interest and security for judgment: 2018 BCSC 731 (link). Trial length: 5 days. Michie v. Guthrie-Waters, 2012 BCSC 793 (link) – The plaintiff alleged that he was defamed in an email sent by his ex-wife to a journalist employed by a Swiss business news magazine. The trial judge found that while the email was technically defamatory, the husband suffered no damages and awarded him one dollar ($1.00) and no costs. Trial length: 5 days. Waters v. Michie, 2012 BCSC 639 (link) – Ex-husband denied that he was the beneficial owner of a multi-million dollar property with a large equestrian center and a luxury home under construction. Title to the property was in the name of a corporation and the true ownership was concealed with the assistance of a Swiss financial secrecy agent who testified against the ex-husband at trial. The trial judge held that the ex-husband owned the property. Supplemental reasons on costs: 2012 BCSC 1942 (link). Trial length: 11 days. Brausam v. Roland, 2011 BCSC 1349, 89 B.L.R. (4th) 318, 89 C.C.L.T. (3d) 153 (S.C.) (link) – Damages of US$357,390 awarded to a couple who invested in a Ponzi scheme promoted by the defendant Roland, who made negligent misrepresentations about the investment. Damages were reduced on the ground of contributory negligence, principally because the extraordinarily high rate of return should have caused a reasonable person to question how that could be so. Trial length: 9 days. Roberts v. Horizon FX Limited Partnership, 2009 BCSC 304,  B.C.J. No. 477 (S.C.) (link) – The court granted a summary trial judgment to aPonzi scheme victim, awarding him US$331K under the Securities Act for misrepresentations in an offering memorandum issued by a limited partnership that collected investors’ money and unwittingly sent it to fraudsters running a fake currency exchange trading firm. Trial length: 1 day. K.R. v. F.A.G., 2008 BCSC 1280,  B.C.J. No. 1800 (S.C.) (link) – Action for damages from a sexual assault that occurred when the plaintiff was a young child in foster care at the home of the defendant. Trial length: 5 days. Laxton v. Coglon, 2008 BCSC 42,  B.C.J. No. 45, (2008) 49 R.F.L. (6th) 164 (S.C.) (link) – Trial to assess damages against a defendant whose defence had been struck out. Trial length: 1 day. Laxton v. Coglon, 2006 BCSC 1688 (link) – The trial judge found that the defendant husband made intentionally false statements and lied under oath in order to avoid splitting share options with his ex-wife. Wife awarded $327,896 plus special costs. Award increased on appeal: 2008 BCCA 414, 58 R.F.L. (6th) 1, 261 B.C.A.C. 142, 85 B.C.L.R. (4th) 17 (C.A.) (link). Trial length: 3 days. E.B. v. Order of the Oblates of Mary Immaculate in the Province of British Columbia, 2001 BCSC 1783,  B.C.J. 2700,  B.C.T.C. 1783 (S.C.) (link) – Damages awarded against a Catholic Order for the sexual abuse of a child at a Residential School in the 1950s and 1960s. Reversed on appeal: 2003 BCCA 289,  7 W.W.R. 421, 227 D.L.R. (4th) 298, 14 B.C.L.R. (4th) 99, 182 B.C.A.C. 288, 16 C.C.L.T. (3d) 149 (link), 2005 SCC 60,  3 S.C.R. 45, 258 D.L.R. (4th) 385, 340 N.R. 202,  3 W.W.R. 1, 217 B.C.A.C. 1, 48 B.C.L.R. (4th) 37 (S.C.C.) (link). Trial length: 15 days. Sutherland v. Vancouver International Airport Authority, 2001 BCSC 1024,  10 W.W.R. 328, 202 D.L.R. (4th) 310, 93 B.C.L.R. (3d) 82, 43 R.P.R. (3d) 159 (S.C.) (link) – Noise nuisance action brought by several hundred property owners for the diminution of the value of their land due to the opening of a new runway at the Vancouver International Airport. The court found the noise to be a substantial and unreasonable interference with property and awarded damages. The trial decision was reversed on appeal on the defence of statutory authority: 2002 BCCA 416 (link). Supplementary reasons on pre-judgment interest, damages incidental to moving and payment of hearing fees: 2002 BCSC 661, 212 D.L.R. (4th) 378 (link). Further supplementary reasons on costs (post appeal): 2005 BCSC 479, 15 C.P.C. (6th) 368 (link). Reasons settling post-appeal costs order: 2006 BCSC 737, 30 C.P.C. (6th) 157 (link). Trial length: 40 days. Kemp v. Wittenberg,  B.C.J. No. 2538, 83 A.C.W.S. (3d) 686 (S.C.) (link) – Surgical negligence by an oral and maxillofacial surgeon resulting in a damages award of $1.2 million. Application to reconsider the trial decision dismissed:  B.C.J. No. 810 (S.C.) (link). Supplementary reasons on costs:  B.C.J. No. 1302 (S.C.) (link). Trial length: 54 days. Sutherland v. D.A. Townley and Associates Ltd.,  B.C.J. No. 1116 (S.C.) (link) – Employee awarded compensation award based on quantum meruit against former employer. Trial length: 8 days. Goodman v. Homestake Canada Inc.,  B.C.J. No. 2690 (S.C.) (link) – Action by a chairman of the board of a gold mining corporation to enforce a severance compensation package in the context of a takeover. Trial length: 11 days. Jarotski v. Struja Estate,  B.C.J. No. 1986 (S.C.) (link) – Resulting or constructive trust claim. Trial length: 4 days. Finlayson v. Calico Resources Corp., 2016 BCSC 402 (link) – Bills totaling $573,710.86 were reduced to $520,000. The lawyer did not have a retainer agreement, but he was entitled to a fair fee calculated on a quantum meruit basis. Barker v. Brule, 2016 BCSC 41 (link) – Legal fees in relation to an appeal allowed at $20,000 plus disbursements. Barker v. Daum, 2015 BCSC 1316 (link) – Bills for fees and disbursements of $107,815.75 were reduced to $70,250. The client was awarded costs. The client alleged that he had left $5000 cash for the lawyer under the water cooler in his office. After the lawyer denied this allegation, the client had his cell phone examined by a digital forensics expert, who produced a report showing previously deleted texts to and from himself and the lawyer. One of the previously deleted texts to the lawyer from the client read: “some cash under the water bottle in your office.” However, the Registrar declined to make a finding that the lawyer had taken the money and lied about it under oath. Miller Thomson LLP v. van Driesum, 2013 BCSC 401 (link) – The client was ordered to pay the contested legal bills as presented except for modest reductions, plus 18% interest and costs. McConnan Bion O’Connor & Peterson Law Corp. v. Mega Wraps B.C. Restaurants Inc., 2005 BCSC 1691 (link) – Legal fees and disbursements totaling $74,986.33 were reasonable in all of the circumstances and were allowed, with the exception of $60, plus interest and costs. Appeal from the registrar dismissed: 2006 BCSC 2005 (link). Re Inverlake, 2016 BCSECCOM 258 (link) – Corporate director sanctioned for illegally distributing securities. Re Zhu, 2014 BCSECCOM 325 (link) – Findings of illegal share distribution and fraud in the operation of Bossteam E-Commerce Inc. Sanctions decision at 2015 BCSECCOM 264 (link). Re Zhu, 2012 BCSECCOM 377 (link) – Revocation of temporary orders restricting the business activities of a corporation. Re Pacific International Securities Inc. et al., 2006 BCSECCOM 532 (link) – After a hearing that lasted 124 days, over a period of almost three years, with over 20,000 pages of evidence and over 15,000 pages of transcripts, the allegations against a securities brokerage that it contravened the “know your client” rule (section 48 of the Securities Rules) and the business procedures rule (section 44 of the Securities Rules) were dismissed. Waters v. Michie, 2018 BCCA 403 (link) – Leave is required to appeal an order confirming and varying aspects of a registrar’s assessment of costs because it is an order granting or refusing costs under Court of Appeal Rule 2.1(f). Leave was granted because the proposed appeal is of significance to the practice. The term “application” as it appears in the Tariff under Appendix B of the Supreme Court Family Rules has not been the subject of a considered discussion. Liu v. Luo, 2018 BCSC 1237 (link) – Dismissal of a summary trial application to enforce a Chinese court judgment in Canada. Waters v. Michie, 2018 BCSC 1206 (link) – In a case where the trial judge has ordered costs of the action to the successful party, a registrar has the discretion to decline to assess the costs of an interlocutory application if the interlocutory order remains unentered. The court also held that the family law costs tariff allows for no costs for a costs-assessment hearing. Appeal from 2017 BCSC 2508 allowed in part (link). Leave to appeal granted: 2018 BCCA 403 (link). Ali v. Walters Estate, 2018 BCSC 1032 (link) – A bequeathed interest in a condominium was held to be valid. The gift was ruled to be a “qualified life estate” meaning that the beneficiary cannot rent it out. A separate application to remove the executor was dismissed. Supplementary reasons on costs: 2018 BCSC 1600 (link). Terastream Networks Inc. v. Grossholz, 2018 BCSC 837 (link) – “Replevin” application seeking to compel the defendants to return property in their possession. The judge confused and conflated the tests for the common law remedy of replevin with the rules-based remedy of an order for the preservation of property. The decision was appealed, but the action settled before the appeal could be heard. Davies v. Canada Shineray Suppliers Group Inc., 2017 BCSC 1729 (link) – A lawyer was ordered to personally pay a portion of the trial costs. Some of the lawyer’s fees to his client were also disallowed because of his disorganization at trial and his lack of understanding about the appropriate ways to conduct a trial, resulting in an inefficient use of court time. Voong v. GPUN Broadway Investment Inc., 2017 BCSC 1521, 100 B.C.L.R. (5th) 195, 74 B.L.R. (5th) 79 (S.C.) (link) – Application pursuant to the Arbitration Act to set aside an arbitration award for arbitral error. British Columbia Securities Commission v. Bossteam E-Commerce Inc., 2017 BCSC 787 (link) – Petition seeking a receivership order and a claims process order to distribute receivership funds to investors and creditors. Zhang v. Zheng, 2016 BCSC 2421 (link) – Reinstatement of a defendant’s pleadings which had been struck for failure to comply with the Supreme Court Civil Rules. Solomons v. Endnight Games Limited, 2015 BCSC 2426 (link) – The claim against the personal defendant was held not suitable for summary adjudication. Waters v. Michie, 2015 BCSC 196 (link) – Application for directions from the trial judge in respect of costs. Sutherland v. Reeves, 2013 BCCA 495, 346 B.C.A.C. 261 (link) – Security for costs ordered in the Court of Appeal. Drover v. BCE Inc., 2013 BCSC 50, 34 C.P.C. (7th) 26, 43 B.C.L.R. (5th) 146 (S.C.) (representing MTS Inc.) (link) – This intended class action was dismissed for failure to effect proper service and for lengthy delay. Costs ordered against the plaintiffs’ lawyer personally. Zhu v. British Columbia (Securities Commission), 2013 BCCA 103 (link) – Adjournment of appeal hearing. Romans Estate v. Tassone, 2011 BCCA 118, 303 B.C.A.C. 50 (C.A.) (link) – The Court of Appeal registrar may settle an order dismissing an appeal to include costs of the appeal, even if the appellant wishes to make further submissions to the panel on costs. Pratten v. British Columbia (Attorney General), 2010 BCSC 1444, 325 D.L.R. (4th) 79 (S.C.) (link) – The plaintiff was conceived by way of a gamete donor insemination procedure and sought a declaration that the Province had failed to protect her right to know the identity of her biological father. The court refused to dismiss the plaintiff’s claim on the basis that it was moot, academic or futile, or that the plaintiff lacked standing to bring the claim. Laxton v. Jurem Anstalt, 2010 BCSC 1002 (link) – The court refused to stay an action for conversion, knowing assistance, and knowing receipt of money taken from the plaintiff in breach of trust. Upheld on appeal: 2011 BCCA 212, 304 B.C.A.C. 203, 17 B.C.L.R. (5th) 354, 334 D.L.R. (4th) 76 (C.A.) (link). Dhillon v. E. Sands & Associates Inc., 2010 BCSC 416, 66 C.B.R. (5th) 131, 57 E.T.R. (3d) 305 (S.C.) (link) – Appeal from the decision of a trustee in bankruptcy denying the creditor’s claim that the bankrupt held money for him in trust. Supplementary reasons on costs in bankruptcy cases: 2010 BCSC 913,  B.C.J. No. 1304, (2010), 69 C.B.R. (5th) 94 (S.C.) (link). Encorp Pacific (Canada) v. B.C. Bottle Depot Assn., 2009 BCSC 1657 (link) – Assessment of the costs of an arbitration. Laxton v. Coglon, 2009 BCSC 1544,  W.D.F.L. 819 (S.C.) (link) – Decision of the registrar on whether an order for costs entailed the right to claim particular items under the Tariff of Costs. Michie v. Michie, 2009 BCSC 1172 (link) – Application for leave to (1) add a party, (2) file pleadings alleging fraud, and (3) set a trial of a petition proceeding. Cross-application for security for costs dismissed. Insurance Corp. of British Columbia v. Kloosterhuis, 2009 BCSC 1167 (link) – Contested application for witness subpoenas under the Commercial Arbitration Act. B.C. Bottle Depot Assn. v. Encorp Pacific (Canada), 2009 BCSC 403 (link) – Decision on whether documents were privileged from production under the Wigmore test for qualified privilege adopted by the Supreme Court of Canada in Slavutych v. Baker,  1 S.C.R. 254. Roberts v. Horizon FX Limited Partnership, 2008 BCSC 1846 (link) –Dismissal of a summary judgment application in a claim for statutory civil liability under the Securities Act. Laxton v. Coglon, 2008 BCSC 955, (2008) 61 R.F.L. (6th) 276 (S.C.) (link) – The principle in Cunha v. Cunha (i.e., the inference that the value of undisclosed assets is at least equal to the value of disclosed assets) applies in the context of a judgment against the non-disclosing spouse’s closely held corporation. Laxton v. Coglon, 2008 BCSC 772, 61 R.F.L. (6th) 268 (S.C.) (link) – Husband held undisclosed assets through an offshore corporation. Wife settled with husband and subsequently obtained a judgment at trial for $2,561,409 against the offshore corporation. The trial judge made strongly worded adverse findings of fact about the husband in the reasons for judgment. The husband sought an order re-opening the trial to present further evidence to repair his reputation. Application dismissed. Marus v. Canaccord Capital Corp., 2007 BCSC 1321 (link) – Application for disclosure of documents over which the defendants claimed privilege. Sutherland v. Vancouver International Airport Authority, 2007 BCCA 213, 240 B.C.A.C. 17, 49 C.P.C. (6th) 30 (C.A.) (link) – Appeal from the decision of the Court of Appeal registrar with respect to disbursements for the preparation of appeal books and transcripts. Fox-Davies Capital Ltd. v. CEP International Petroleum Ltd., 2007 YKSC 21, (2007) 28 B.L.R. (4th) 97 (Y.T.S.C.) (link) – The court declared an election of corporate directors at an annual general meeting of shareholders to be invalid and directed that a new election take place. Laxton v. Coglon, 2006 BCSC 1458, (2006) 61 B.C.L.R. (4th) 127, 32 R.F.L. (6th) 188 (S.C.) (link) – Order that the defendants provide an affidavit verifying whether various classes of documents are, or ever have been, in their possession, control or power. Laxton v. Coglon, 2006 BCSC 181, (2006) 27 R.F.L. (6th) 283 (S.C.) (link) – Leading decision on the admissibility of affidavit evidence. Appealed on other grounds: 2006 BCCA 178 (link). Burnaby Lake Greenhouses v. Her Majesty The Queen In Right Of The Province Of British Columbia, 2005 BCSC 1682 (link) – Appeal from tax assessments levied under the Corporation Capital Tax Act. Lambert v. Resort Municipality of Whistler, 2004 BCSC 391 (link) – Supplementary decision on the effect of a municipal bylaw that was declared to be illegal. Rohani v. Rohani, 2003 BCCA 702, 190 B.C.A.C. 309 (C.A.) (link) – An application for directions on whether leave was required to appeal a chambers judge’s order dismissing an appeal of a registrar’s preliminary ruling that a contingency fee agreement need not be produced on an assessment of special costs. The ruling was interlocutory, so leave was required. Baker v. Strata Plan NW3304, 2002 BCSC 1559,(2002) 5 R.P.R. (4th) 103 (S.C.) (link) – Dismissal of a petition alleging that a strata corporation’s refusal to approve the enclosure of a unit owner’s balcony was significantly unfair under the Strata Property Act. Sutherland v. Vancouver International Airport Authority, 2002 BCCA 106, 164 B.C.A.C. 27 (C.A.) (link) – Application for leave to intervene in an appeal. Kemp v. Metzner,  B.C.J. No. 2032, (1998) 56 B.C.L.R. (3d) 133 (S.C.) (link) – The court dismissed an action against an oral surgeon because there was no postponement of the limitation period and the claim was therefore statute-barred. Bell v. Lignum Ltd.,  B.C.J. No. 1962 (S.C.) (link) – Dismissal of a summary trial application for the breach of an employment contract. Kowalewich v. Stay Tuned Communications Inc.,  B.C.J. No. 1680 (S.C.) (link) – Refusal of leave to appeal an arbitration decision. Sutherland v. D.A. Townley and Associates Ltd. et al.,  B.C.J. No. 1278 (S.C.) (link) – Decision on solicitor-client privilege. Feser v. Prudential Insurance Company of America,  B.C.J. No. 755, (1997) 45 B.C.L.R. (3d) 371, 47 C.C.L.I. (2d) 270 (S.C.) (link) – Decision concerning the proper interpretation of a policy of group mortgage life insurance. Additional reasons regarding procedure: (1997), 47 C.C.L.I. (2d) 285 (S.C.) (link). Kemp v. Wittenberg,  B.C.J. No. 697, (1997) 32 B.C.L.R. (3d) 268 (S.C.) (link) – Appeal overruling the decision of a master to order disclosure of documents over which there was a claim of solicitor-client privilege. Sutherland v. D.A. Townley and Associates Ltd.,  B.C.J. No. 471 (S.C.) (link) – Appeal overruling the refusal of a master to order disclosure of documents over which there was a claim of solicitor-client privilege. Urquhart (Guardian ad litem of) v. Durham  B.C.J. No. 1331, (1996) 50 C.P.C. (3d) 259 (S.C.) (link) – Interrogatories must be directed to a particular person rather than a corporation. Haney v. Toys and Wheels,  B.C.J. No. 502 (S.C.) (link) – Wrongful dismissal claims against a bankrupt corporation were ordered to be stayed under the Bankruptcy and Insolvency Act. Kahila v. Kahila (1996), 69 B.C.A.C. 145,  B.C.J. No. 227 (C.A.) (link) – Stay of an action pending the hearing of interlocutory appeals (dismissed). Public Trustee of British Columbia v. Batiuk,  B.C.J. No. 2773, (1995) 17 B.C.L.R. (3d) 288, 45 C.P.C. (3d) 304, 10 E.T.R. (2d) 207 (S.C.) (link) – Leading decision on the principles governing the extent of a master’s jurisdiction.